Oleksandr Yaroslavsky’s DCH Group is one of Ukraine’s largest financial and industrial groups with more than two decades of operational experience and current assets in a wide range of industries. The Group’s key activities are currently in finance, machinery, construction supplies, real estate development, transport, and the hospitality industry. 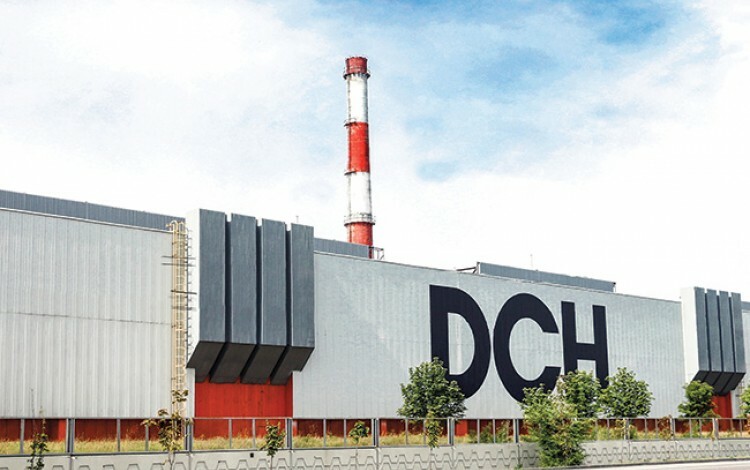 Although present in numerous regions of Ukraine, DCH Group is Kharkiv-based and remains widely associated with the leading role it played in the transformation of the city’s infrastructure on the eve of the Euro 2012 European football championship. The DCH Group story dates back to the mid-1990s. Beginning in 1998, DCH Group president Oleksandr Yaroslavsky played a key role in the rise of UkrSibbank, helping to turn it into one of the leading players on the Ukrainian banking market before overseeing the sale of a controlling stake to France-based global banking industry giant BNP Paribas in 2006. The DCH Group investment archive also features Kyivstar, Nadra Bank, Cherkassy Azot, Merefiansky glass factory, and XXI Century construction company. The Group’s current assets remain markedly diverse and include everything from the Ukrainian Mining Company with its five open cast mines producing stone, gravel and high-quality granite, to Vozdvyzhenka residential estate in Kyiv and the Karavan Megastore Chain of shopping and entertainment complexes in Kharkiv, Kyiv and Dnipro. Meanwhile, a series of acquisitions since 2016 have bolstered the DCH Group portfolio considerably. These relatively recent additions include Dnipro Metallurgical Plant, Sukha Balka Mine in Kryvih Rih, and INGO Ukraine Insurance Company. Perhaps the most high-profile DCH Group acquisition in the past few years has been Kharkiv Tractor Plant. This iconic industrial asset dates back to the early decades of the twentieth century and remains the only enterprise in the post-Soviet region that produces both wheeler and crawler tractors in parallel. Over the years, this former poster boy of Soviet industrialization has produced a total of over three million tractors and other kinds of heavy machinery while serving as a symbol of Kharkiv industry. However, the plant was teetering on the brink of bankruptcy until DCH Group intervened in 2016. Following acquisition by DCH, production resumed in February 2017. Within six months of this restart, the plant had produced over 500 units of machinery. It is now undergoing further modernization as efforts continue to upgrade output and reenergize the plant’s international export network. Yaroslavsky’s status as the man credited with reviving Kharkiv Tractor Plant has underlined DCH Group’s credentials as the most prominent investor in the Kharkiv region, with the Group’s overall regional investments estimated at more than USD one billion. DCH Group remains best known in this respect for its central role in Kharkiv’s preparations to serve as a host city during the UEFA Euro 2012 football championship. Ukraine won the right to co-host the tournament in spring 2007, but it was not always clear whether Kharkiv would be involved. The capital of eastern Ukraine did not initially feature among the four Ukrainian cities favored to serve as host venues for group stage matches during the summer 2012 football championship, with both Dnipro and Odesa believed to be ahead of Kharkiv in UEFA’s plans. A highly ambitious investment agenda outlined by DCH Group was to prove crucial in persuading UEFA officials to award Kharkiv host city status. This infrastructure upgrade would ultimately involve investments by DCH Group of approximately USD 300 million, making Yaroslavsky the largest private investor in Ukraine’s Euro 2012 preparations. Much of the construction and renovation work undertaken by DCH Group in the run-up to Euro 2012 continues to play a significant part in the day-to-day life of the city. The redevelopment of Kharkiv International Airport was probably the most important improvement completed by DCH Group during the city’s Euro 2012 preparations. The Group invested USD 110 million into the construction of entirely new terminal facilities together with surrounding infrastructure, while the Ukrainian state financed the redevelopment of the airport runway facilities. This investment continues to pay dividends, with Kharkiv International Airport currently among the busiest in Ukraine, boasting consistently strong passenger and flight growth figures throughout the past two years. In order to meet UEFA requirements ahead of Euro 2012, DCH Group also constructed Kharkiv’s first five-star hotel. The Premier Palace Hotel Kharkiv involved an investment of USD 130 million. It is located in the heart of the city close to Freedom Square and remains Kharkiv’s preferred prestige venue for business, political and society events. Meanwhile, Metalist Stadium received a USD 30 million facelift in order to host Euro 2012 group stage matches, while a further USD 35 million went on the construction of a state of the art football training facility and children’s football academy. Euro 2012 was not Yaroslavsky’s first foray into sports-related investments. For many years, he served as president of Metalist Kharkiv Football Club, overseeing the team’s rise to challenge the domestic dominance of Ukraine’s traditional football powerhouses Dynamo Kyiv and Shakhtar Donetsk. During Yaroslavsky’s tenure as club president, Metalist became a permanent fixture in the top three of the Ukrainian Premier League and regularly competed in the latter stages of UEFA club competitions. Away from football, DCH Group also has a longstanding relationship with Kharkiv Olymp Rugby Club, where Yaroslavsky has served as club president since 2005. This backing has helped Kharkiv Olymp emerge as the preeminent force in Ukrainian rugby. The club has won a record 13 league titles and currently provides the majority of the Ukrainian national team starting fifteen.